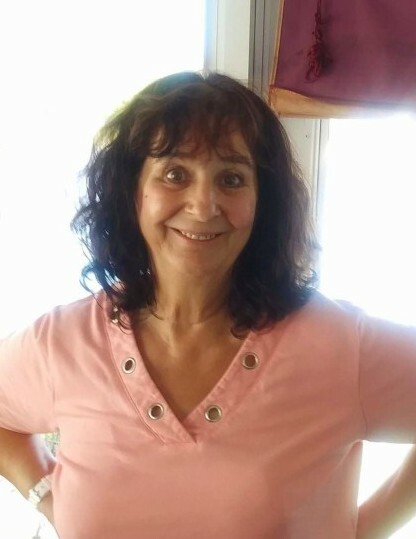 Murlene Dawn Carter, age 62, of Ionia, passed away March 21, 2019. She was born January 26, 1957 in Ionia, Michigan. She was a devoted and faithful member of the Zion United Methodist Church. Murlene collected many different things throughout her life and was known by many as the “hat lady”. She loved shopping with her grandchildren and she enjoyed playing euchre and cruising around in her golf cart. Preceded Murlene in death are her sister, Judy Ott and brother, Arnold Carter. Murlene is survived by her mother, Ellen O’Bryant; son, Gregory Carter; daughters, Chelsea Carter, Calie Carter, and Courtney (Jordan) Perow; grandchildren, Aiden, Anabella, Urijah, and Ellie; and special friend, Karen (Don) Perkins. A Memorial Service will be held on Friday, March 29, 2019 at 1:00 p.m. at the Zion United Methodist Church, 423 W. Washington St., Ionia. The family will receive friends from 12:00 p.m. until the time of the service at the church. In lieu of flowers, contributions may be made to Murlene’s family in her honor. Arrangements are entrusted to Lehman Funeral Homes. Online condolences may be made at www.lehmanfuneralhomes.com.